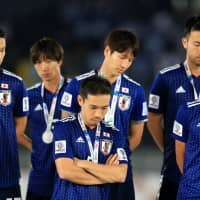 In the days since Japan’s 3-1 defeat to Qatar in the 2019 Asian Cup final, Japan’s soccer media has had plenty of time to unload its takes, whether first, second or simply hot. But another narrative has emerged on Twitter, with players weighing in on the media’s interpretations of the Samurai Blue’s runner-up finish. In other countries it’s far from uncommon to watch players mix it up with journalists, fans and even each other as feuds and clapbacks have become a part of the modern sports landscape. But in Japan, where the cozy — but separated — relationship between athletes and media can often be compared to comedian Mitch Hedberg’s sandwich roll (“I guess the two halves aren’t supposed to touch”), the act of players calling out the press is still novel. “If (the media) can’t write articles that accurately represent what we say, fewer players will talk in the mixed zone,” Sakai tweeted, attaching a screenshot of the article. On Sunday, veteran journalist Tomoya Okajima, writing for Sports Hochi, drew the ire of outspoken defender Tomoaki Makino. Okajima suggested that the “ittaikan” (sense of togetherness) created by the squad, with players smiling and joking while training the day before Friday’s final, did not help Japan in its defeat against Qatar. “How would (the match) have gone if players like Eiji Kawashima, Makoto Hasebe or Keisuke Honda, who had the courage to call out their teammates after giving up a goal or missing a chance to score, were present?” wrote Okajima. While that’s not necessarily an inflammatory statement, Makino clearly considered the headline — “the limits of a ‘friendly’ army” — to be over the line. This wasn’t Okajima’s first incident of the tournament — his report on Qatar’s 4-0 semifinal win over host UAE, which claimed that “if Japan showed their usual strength it would celebrate at the end of (the final),” did not impress television commentator and former Japan star Kazuyuki Toda. Japan’s soccer fandom spent Sunday discussing these incidents, with some labeling Football Zone a “habitual offender” and others criticizing Hochi’s editorial desk for the common newsroom practice of tacking an inflammatory title onto Okajima’s story without his input. The debate touched on many of the issues facing Japanese soccer media. Fans are increasingly suspicious of the established press, especially the country’s baseball-centric newspapers, with many questioning whether beat writers paid to follow the Samurai Blue around the world are pulling their weight. Yet fans are reluctant to embrace the so-called “kotatsu (heated table) media,” those who analyze games from in front of a TV set without setting foot in the stadium. Even as vlogging and “unofficial” commentary streams have started to emerge in Japan — as always, years after similar efforts became popular in the rest of the world — fans still place a special importance on established outlets reporting from the scene of the action. 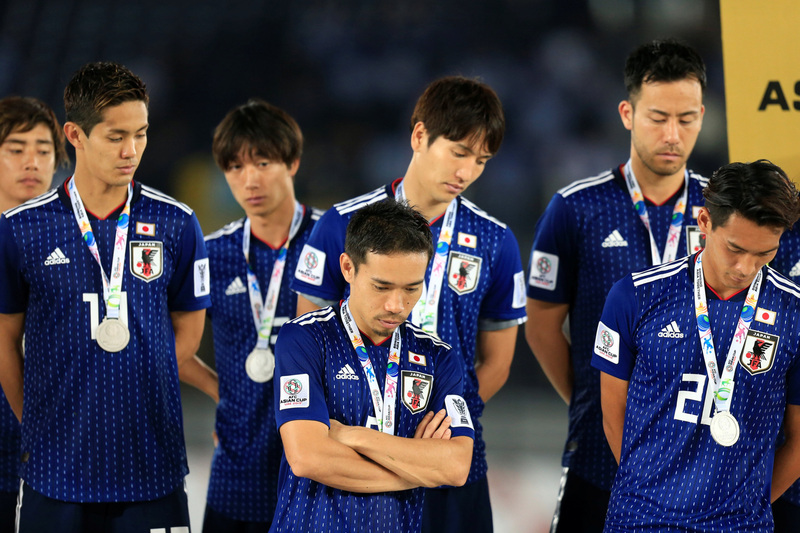 The lag in developing Japanese fandom’s new media literacy has emerged primarily as a result of conservative policies instituted by Japanese soccer’s gatekeepers — the Japan Football Association and the J. League. With internet-based media still forbidden from acquiring match accreditation — Japan’s most popular soccer websites are all owned by traditional publishers — there has been no opportunity for new ideas to challenge the traditional press hierarchy. National team writers focus on helping each other to meet deadlines rather than obtaining or protecting exclusives. Post-match comments are regularly shared so that nobody’s article omits any top players. It’s a stark contrast to the NBA or NFL, where players’ locker-room comments are often broadcast straight to social media. When comments are transcribed and rewritten, as is the norm in Japan’s soccer media, nuance is lost and intent is often misinterpreted, resulting in situations such as Sakai’s. Both the JFA and J.League have increased their multimedia offerings in recent years, but in doing so have made clear attempts to sanitize any hint of controversy. If they loosened regulations and ended the monopoly held by print and TV outlets, athletes’ thoughts could be shared by journalists capable of providing content for a modern media-savvy audience. The fans want to hear directly from the players, and Japan’s soccer media is desperately in need of new ideas and a shakeup of the status quo. In one fell swoop, the JFA and J. League could solve both problems, improving fan’s soccer literacy in the process.